Polish your abilities with this amazing bonus from Ace Lucky Casino! 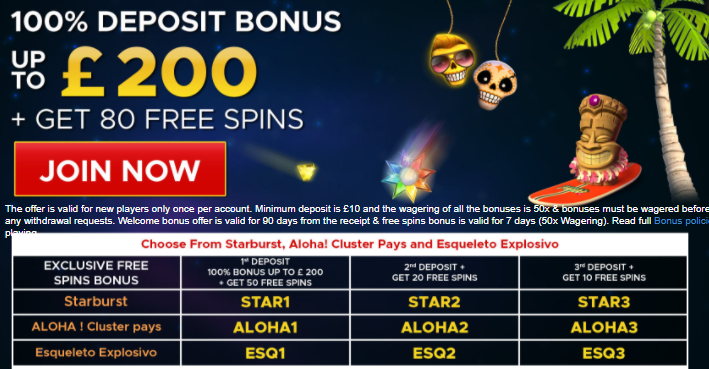 Log into your account and deposit minimum £10 for the third time to get 10 bonus spins on Aloha Cluster Pays. You need to use the code ALOHA3 in order to become eligible for this. Wager the bonus amount 50 times before any cash-outs. Get your offer and become a champion!